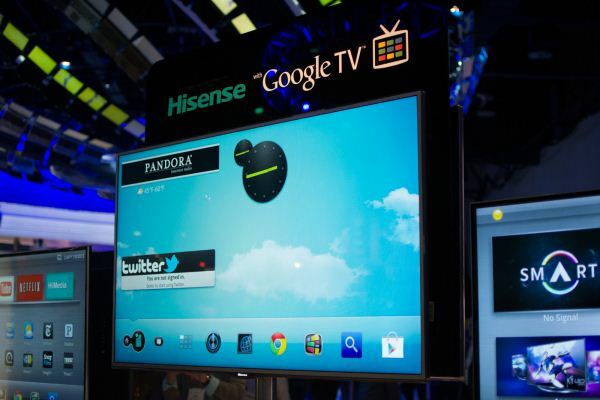 So, Google TV is still happening. Indeed, more players are getting into the game than ever. Hisense is a Chinese OEM/ODM that's seen steady growth in the television market internationally, and hopes to build a big presence in the US this year. Their Google TV box, Pulse, was announced as among the first to be built around the Marvell Armada 1500 chipset, and we've been waiting for it patiently ever since. It's available on Amazon right now, and we'll hopefully have it in for review soon. For now, we got a chance to take a peek at Hisense's interpretation of Google TV while on the show floor at CES. 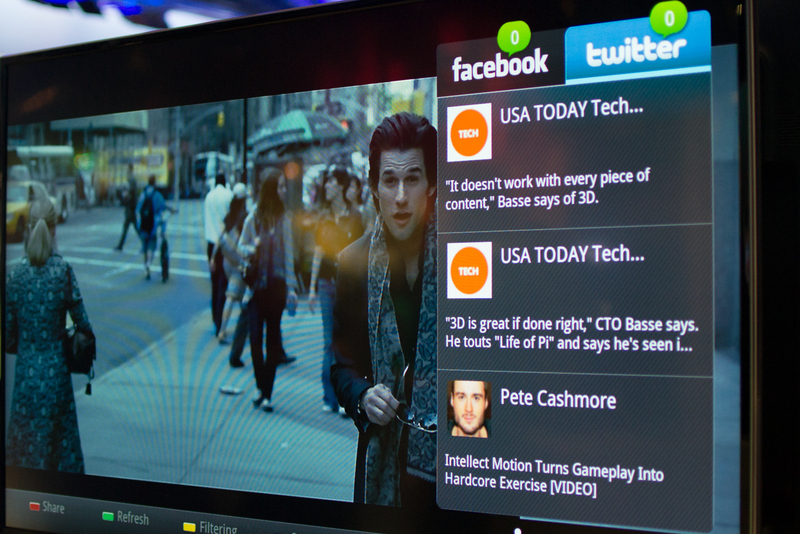 To re-cap, Google TV is the stab at altering the television viewing paradigm by Mountain View's finest. It has gone through some pretty immense transformations since it was first introduced and while all implementations share a basic UI paradigm, they've allowed OEMs to skin parts of the experience. The latest software iteration (V3, in their parlance), has three key conceits: Search, Voice and a recommendation engine. Search, understandably, is Google's strong suit, and is leveraged to great success. Voice's execution is good, though the value is limited. Primetime is their recommendation engine, and while it's no doubt quite good, it feels little different than the similar features provided by Netflix and the like. Hisense isn't shipping V3 software just yet, but a few things stand out about their software. We'll start with the Home screen. Lightly skinned, and functional, the screen is fairly satisfying. The dock and the three featured apps across the top are static, but that "Frequently Used" field is populated automatically based on your usage. That area below the video field would make a great place for a social feed widget, or perhaps some other useful data, but, as usual, is instead devoted to ad space. Just off the Home button, is a new button, that maps to an old function. Previously, hitting the Home button from the Home screen, brought you to a field where a user could configure widgets. Here that "double tap" is moved to a separate button, but looks largely the same. 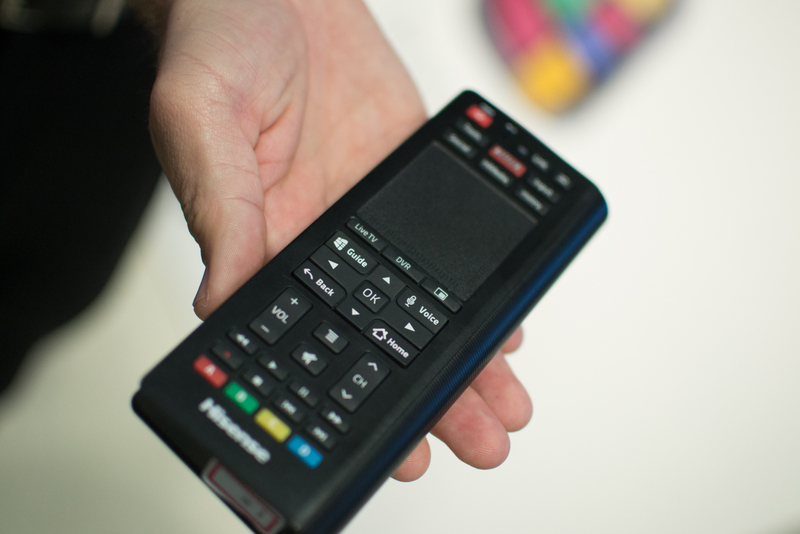 The remote control is a many buttoned affair, with a large touchpad (complete with scroll regions) on one side, and a QWERTY keyboard on the back. The touchpad is quite large, though responsiveness was a bit hit or miss, it's hard to blame the BT/WiFi powered hardware in such a spectrum crowded environment. The button lay out is oddly cramped for such a large remote, thanks to that touchpad and a similarly large set of directional keys. The QWERTY keyboard on the back, though, benefits from the acreage, and has a good layout. No motion controls are on offer here, this a tactile interface all the way. And truly, I'm not going to miss waving a wand around. There are three hardware things a Google TV needs to get right, and so far none have hit on all three. Video decode needs to be flawless and extensive; if local file playback is available, it shouldn't be limited to just a handful of codecs and containers, and it shouldn't ever falter. 3D rendering should at least be passable; as an Android device, it'd be nice to be able to play some games on these things, and so far that's something that's been ignored. More important than 3D though, 2D composition must be fast, no matter how many effects you throw at the screen. In many past devices, the UI was generally sluggish, but it slowed to an absolute crawl when you asked it to overlay a UI component over video. Imagine our surprise, then, when Hisense pulled it off without a hiccup. Hitting the Social button while watching a video brings up this lovely widget, which shows your Twitter and Facebook feeds and even offers sharing and filtering options. The filtering options are most intriguing, since they'd allow you to follow a content based hashtag (say #TheBigGame) and participate in the coversation related to the content you're watching, and all on the same screen. For terrestrial content the widget shifts the content into the upper left region so that none of it is obscured by the widget. But as nifty as the widget may be, what really set it apart was how quickly its components were drawn and updated. From the time the button was depressed to the fully composited and updated widget was shown couldn't have been but a second. Jumping from there to the Home screen was quicker, and opening Chrome and navigating to our home page all happened without noticeable stutter. Chatting with Marvell later, we discussed how they used their own IP to develop their composition engine and targeted just this sort of use case for it. 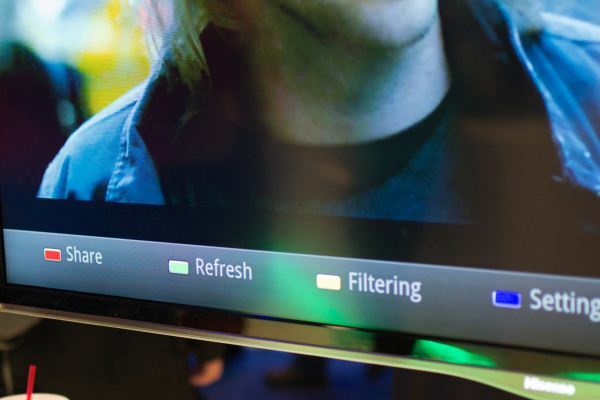 Based on our time with their solution on the show floor, they and Hisense have done some good work. 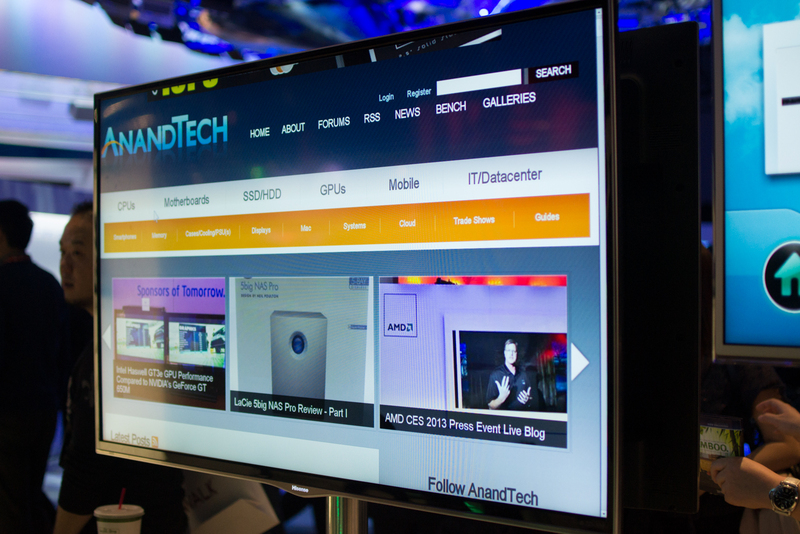 We can't wait to get our hands on the hardware ourselves and see just how good it gets. ...at the v3 software update. It also looks like the remote at least is slightly updated? The back button is on the left now! Rightly so. I'm all for making GTV faster! 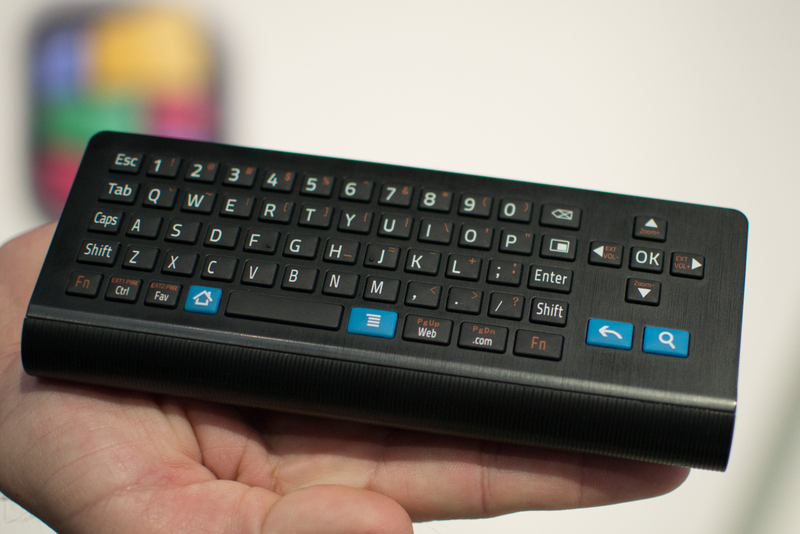 This Pulse has gotten more favorable reviews than the Vizio unit did when it first came out. A great start really. The fact that the IR blaster isn't/wasn't? (and maybe now is?) integrated into the remote is a considerable drawback. This was pretty standardized by other GTV boxes, why did they drop the ball on that? =/. I understand it's v3 hardware according to Google, so is that a spec bump from v2 hardware? On paper, the few specs given, there isn't a discernible difference to me. From someone that loved the Revue after the last update, when it worked reliably... I'm tired of other streaming solutions (Don't use it's DVR/STB functionality) looking more reliable =/. 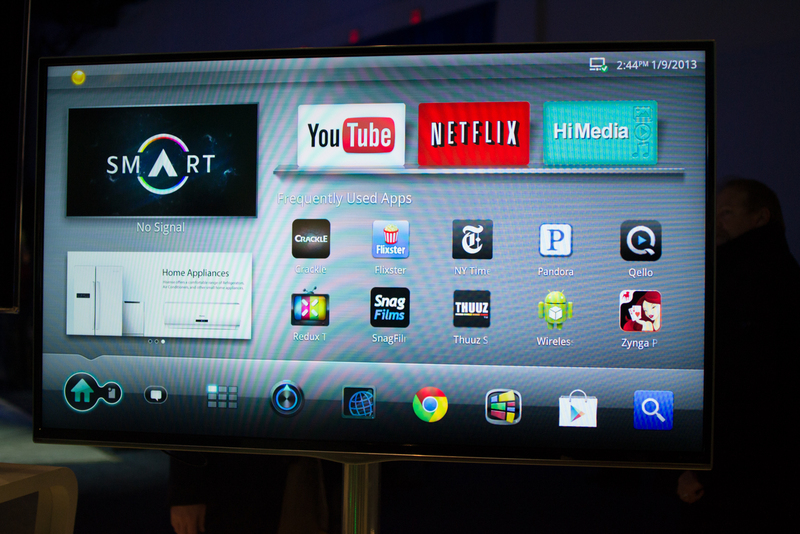 Would also love some coverage/review of Android devices (not GTV) meant for TV use.